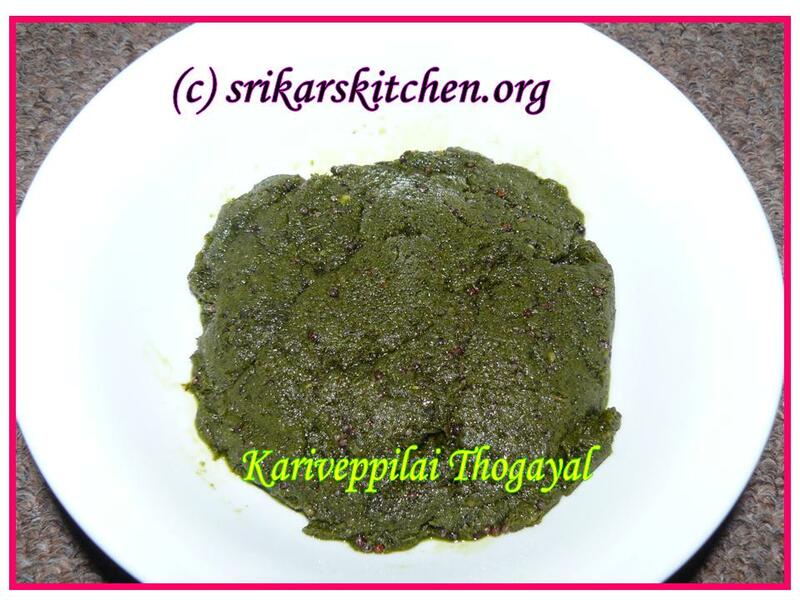 Blend Curry leaves, tamarind,red chillies, salt to a paste. Heat oil in a kadai, add sesame oil , mustard seed & allow to temper. Now add curry leaves paste & saute slowly upto 6-10 mins. Serve with hot rice with ghee. What a recipe with curry leaf.Will try it out. super,one of my favourite recipe!! Such a beautiful and delicious thogayal.. Very healthy kariveppailai thogayal, loved the rich color. Goes well with anything n everything. Very Healthy recipe and easy to prepare too. Looks great. nice recipe..Looks healthy and tasty! Would taste awesome with ghee rice! Dear all, thxs for ur lovely comments. hi Sathya, we can store this thogayal max 7 -10 days . Healthy n tasty thogayal. Nice recipe. Simple, healthy and delicious !